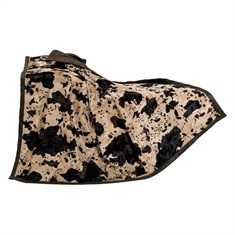 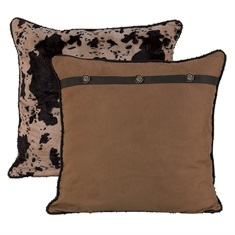 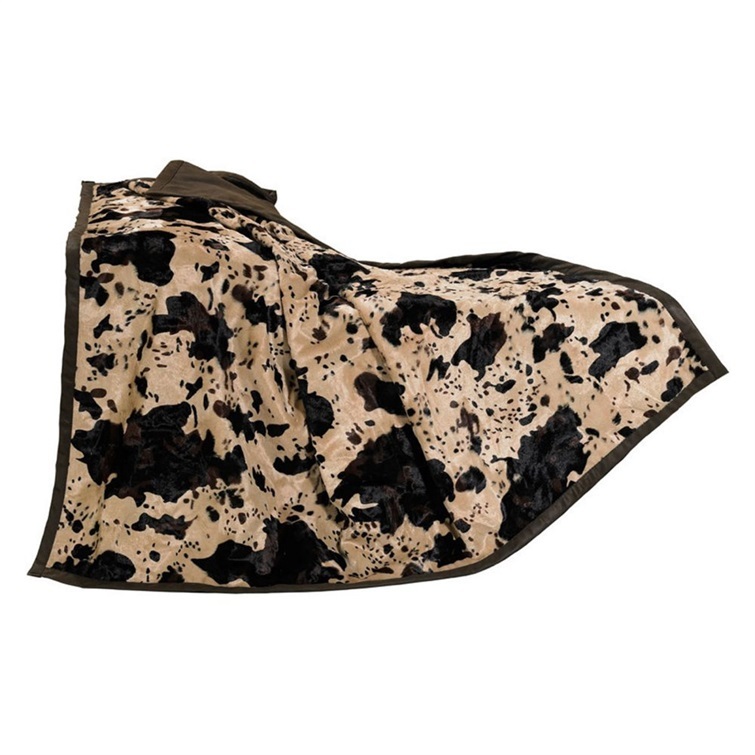 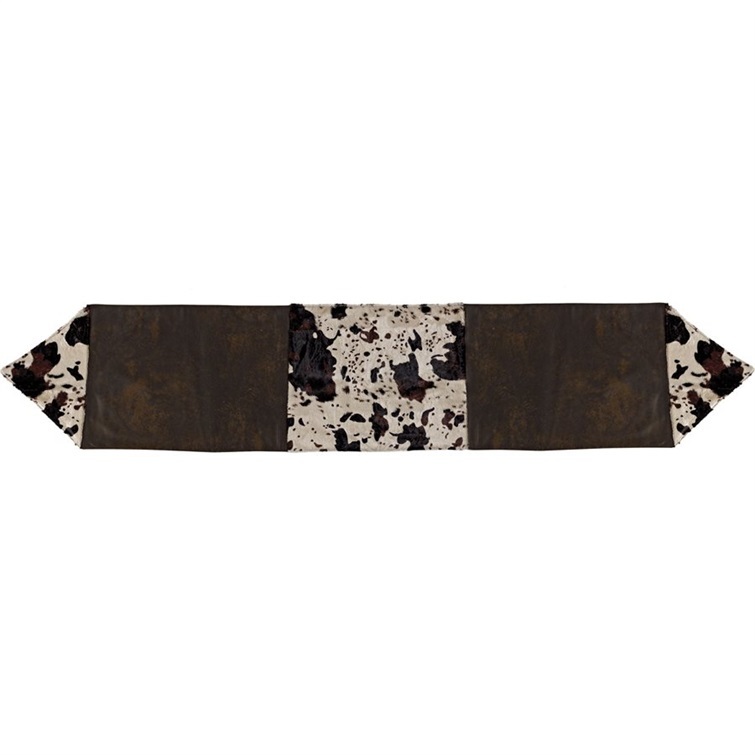 The Caldwell Bedding Ensemble features neutral cowhide printed velvet and rich faux tooled leather. 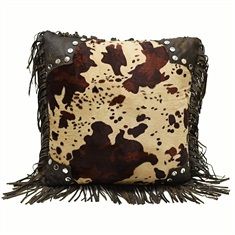 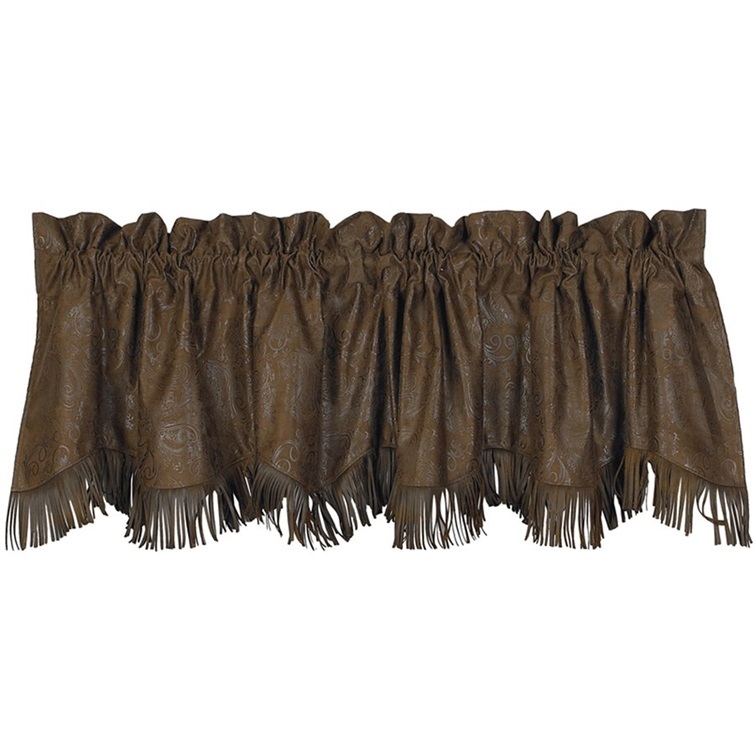 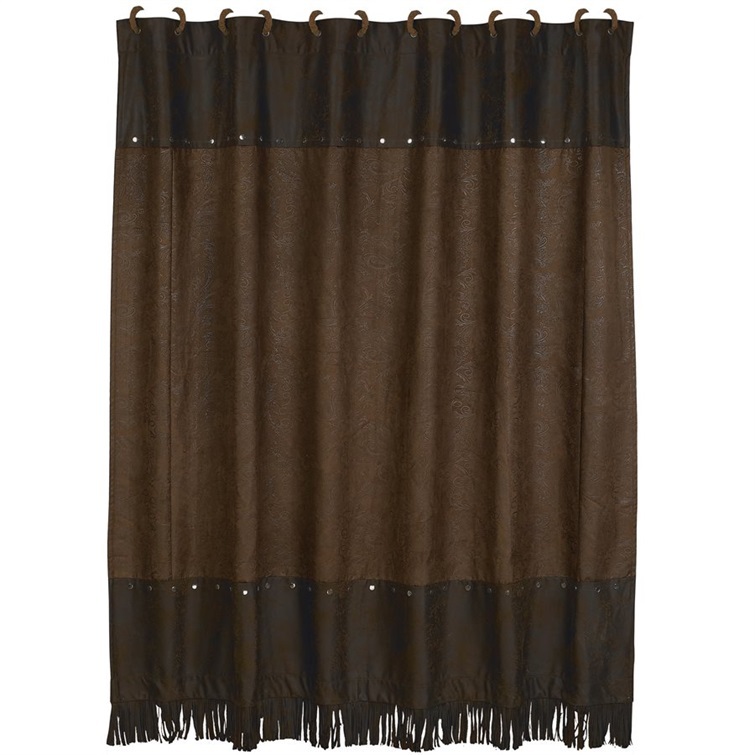 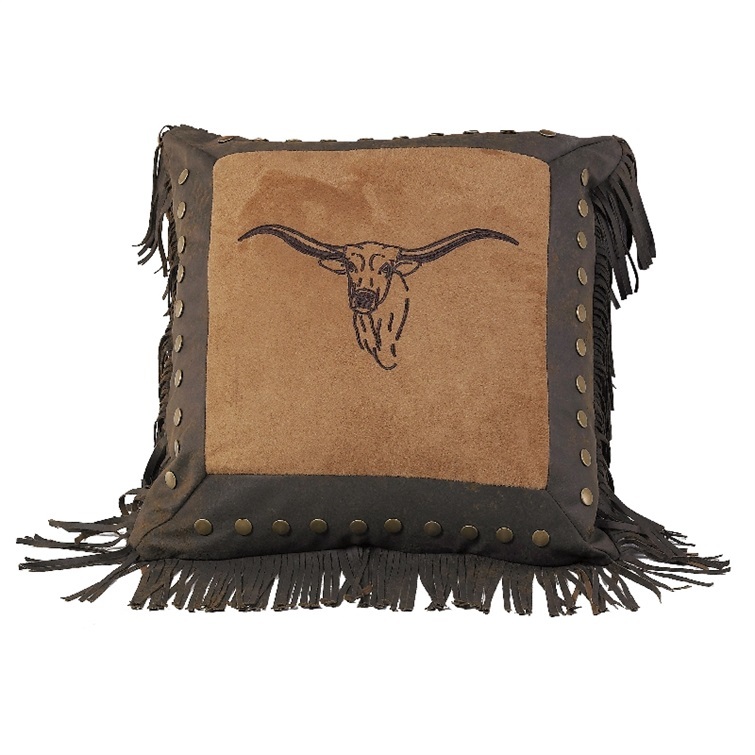 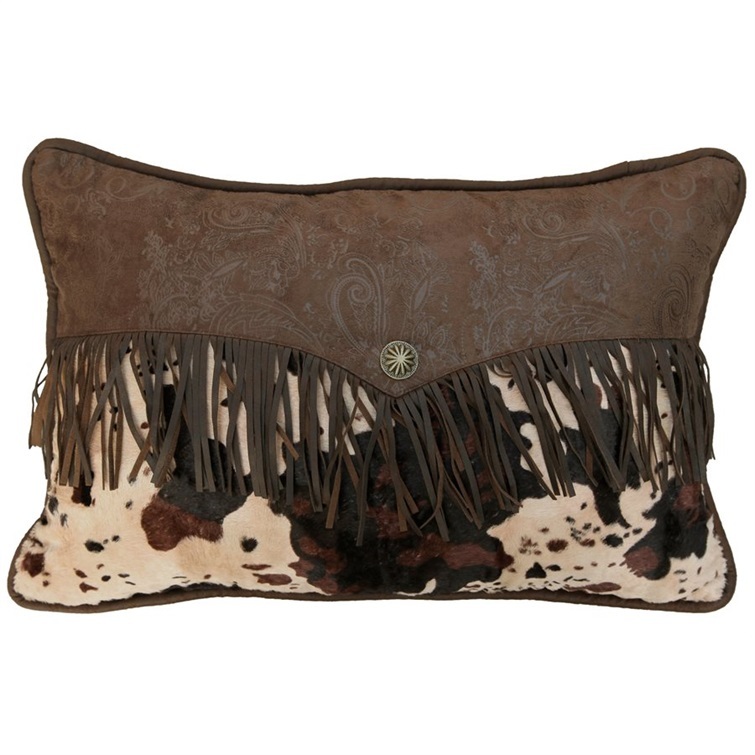 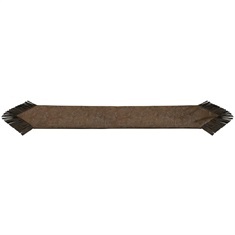 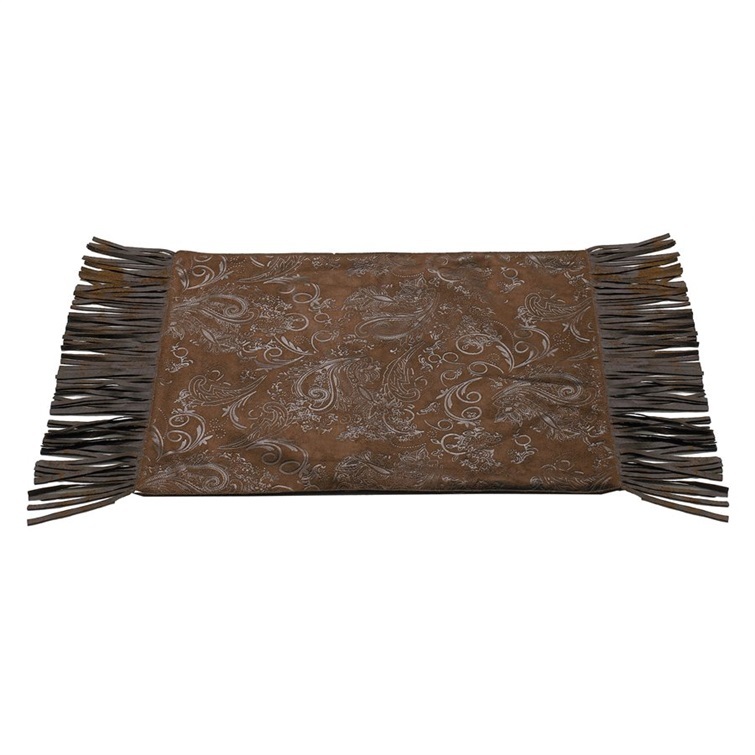 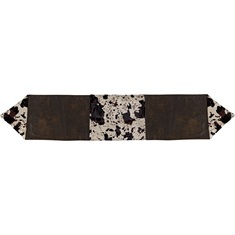 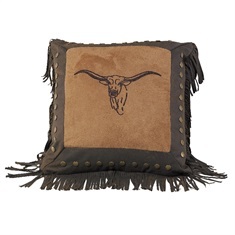 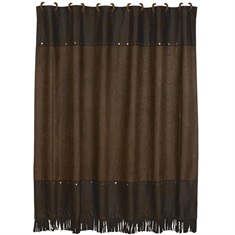 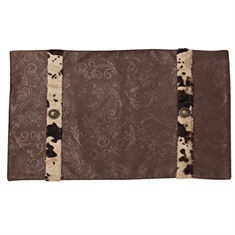 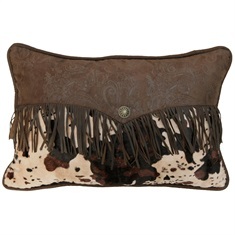 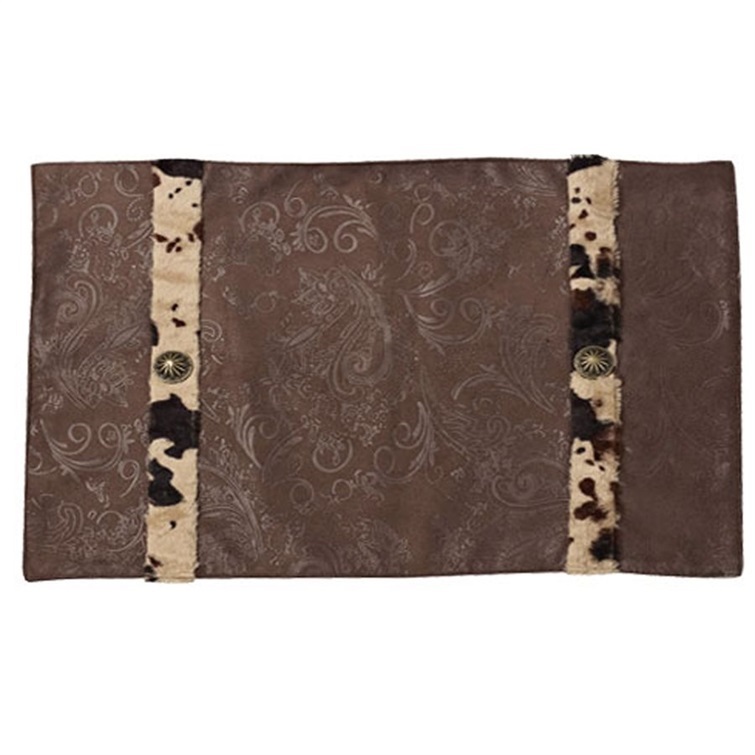 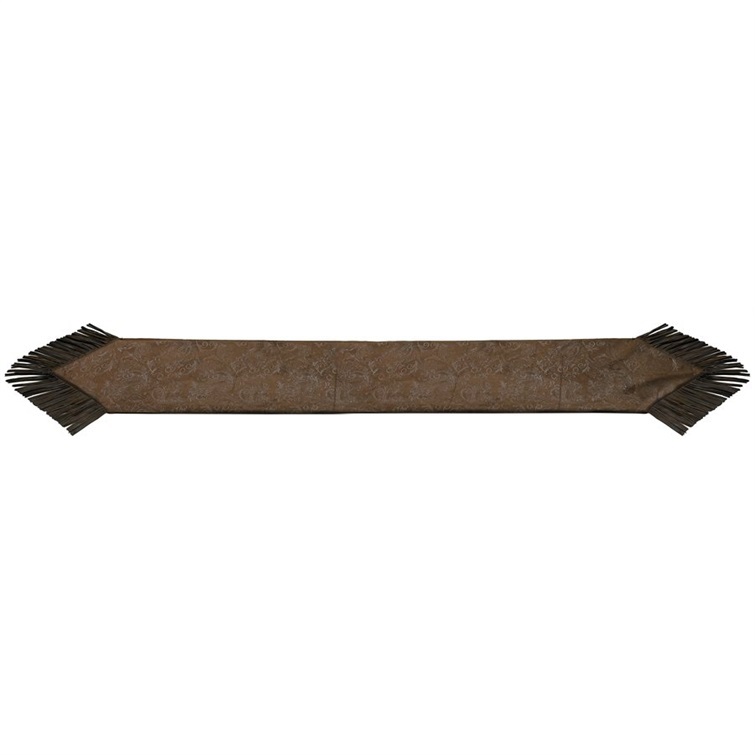 Faux leather fringe finishes the tasteful western design while stately Conchos finish the look. 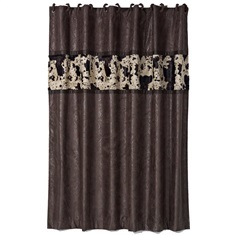 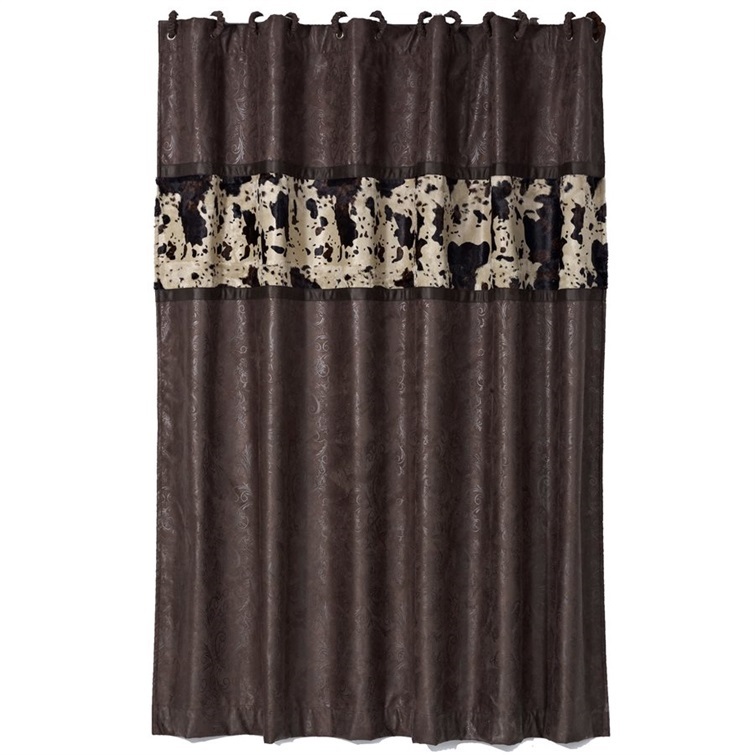 The 4pc twin set includes: comforter, bed skirt, pillow sham, and Neckroll.